The 2019 Federal Budget winners and losers and what it means. Millions of Australians will get an extra $1000 back in their pockets and see a decade of road and rail upgrades in the nation’s first surplus budget in 12 years. 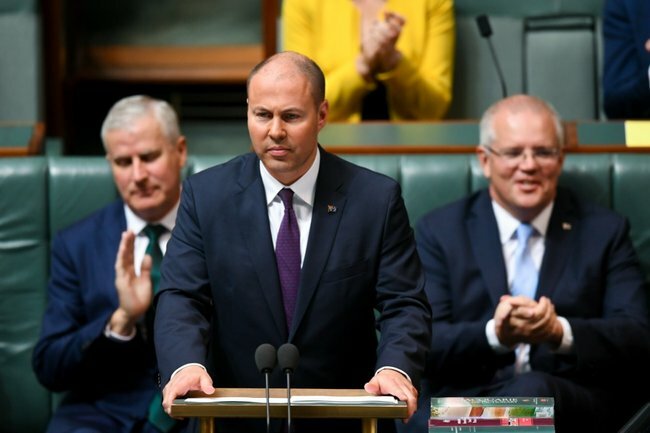 In a no-losers budget just weeks out from the May election, Treasurer Josh Frydenberg pitched the coalition as responsible economic managers who can still splash some cash. Infrastructure funding will jump $25 billion to $100 billion over the next 10 years in a bid to connect Australia’s job-creating cities with regional population centres. Mr Frydenberg’s first budget also predicts surpluses from next financial year, starting with $7.1 billion in 2019/20. “The budget is back in the black and Australia is back on track,” Mr Frydenberg said on Tuesday night. Last year’s $530 tax offset for low- and middle-income earners has been doubled to $1080 for more than 10 million taxpayers earning up to $126,000 a year. Mamamia’s daily news podcast The Quicky spoke to Paul Drum about why there is a budget right before an election. Post continues below audio. Labor has promised to match the tax cuts that begin on July 1. “This is essentially a copy of what we proposed last year, and they are simply catching up to us,” shadow treasurer Chris Bowen said. Prime Minister Scott Morrison is now expected to call an election for May 11 or 18. Why tonight’s Federal Budget could be the best for your bank account.